free to bring your laptop and sit a while, we don’t mind. Thank you for visiting The Java Bean Café. We appreciate your business & look forward to seeing you again soon! The Java Bean Cafe is managed by Derek & Karie Vrablic. Derek was born in Michigan and moved to Decatur in 2000 when he and Karie were married. Karie is a life long resident of Adams County and has been a coffee lover since her college years. Derek & Karie originally opened The Java Bean Cafe in 2008 but in 2012 decided it was time to sell so they could devote more time to their young family. Now that the kids are a little bit older, when the opportunity arose to be a part of The Java Bean Cafe, or as they lovingly call it "The Bean", again they jumped at the chance. 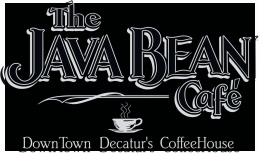 Their dream is to support the great city of Decatur and surrounding area by continuing to provide a warm, welcoming place for friends to gather, spouses to reconnect or families to enjoy some time together over a great cup of coffee, pastry and delicious food. ​​Tonya is one of our Assistant Managers. ​​Ann is one of our Assistant Managers.